Discover a more complete and dynamic picture of brain activity by using our HD EEG software and hardware solution. Get the high spatial resolution needed for precision presurgical planning. Tara Torassa Gilbert1, Miranda Rasmussen1, Laura Szklarski1, Kady Colabrese1, Brian Chugg1, Susan Agostini2, Joseph Sirven2. (2018, August). Whole head high density EEG provides R. EEG technologists new techniques for higher definition analysis of brain activity. Poster session presented at the ASET Annual Conference, New Orleans, LA. Review can be visualized in a traditional 10:20 montage or in full HD for higher resolution. 1. Szklarski L., Mintz M., Catterall K. (2016, August). 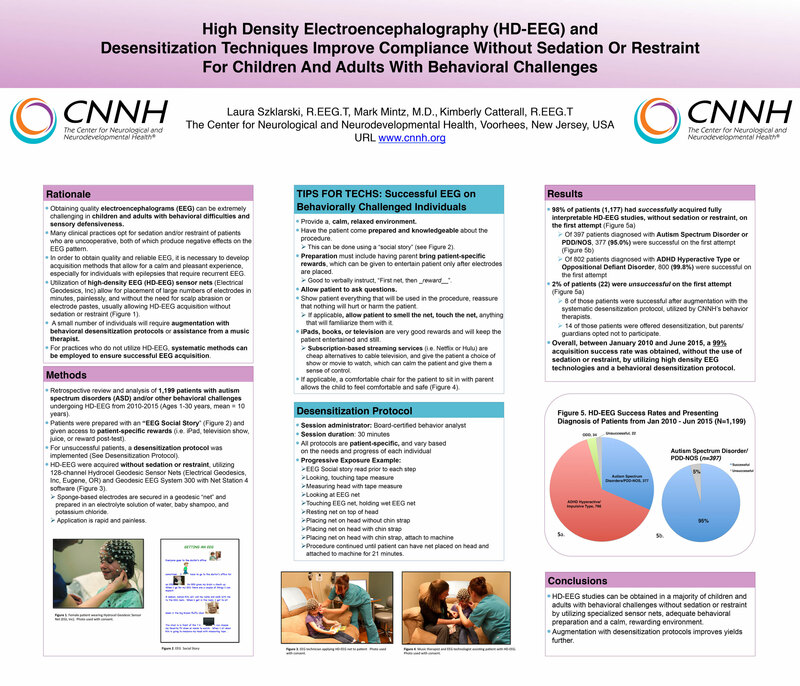 High Density Electroencephalography (HD-EEG) and Desensitization Techniques Improve Compliance Without Sedation or Restraint for Children and Adults with Behavioral Challenges. Poster session presented at the ASET Annual Conference, Pittsburgh, PA.